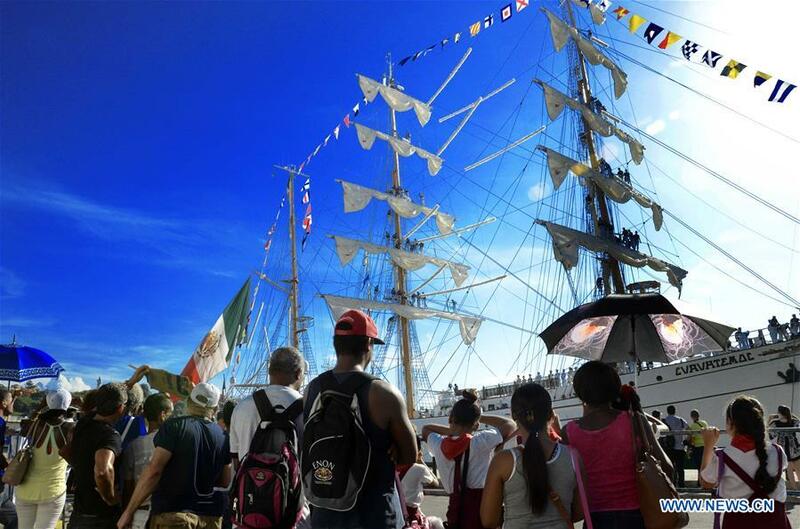 Havana, Sep 9 (Prensa Latina) The cultures of Cuba and Mexico will converge from September 11 to 15 during the Fiestas Patrias (National Holidays) of the Aztec nation, to be hosted by Tryp Habana Libre and Melia Cohiba hotels in this capital. ‘The days of the event invite to the enjoyment of culinary tastings and cocktails, traditional music, dances and much more,’ Maite Artieda, Director of Communications and Public Relations of the corporation, told Prensa Latina today describing the program of the third edition of these celebrations organized by that firm on the island. She highlighted that Mexico has one of the richest gastronomic traditions of the continent, and stressed that once again this expression of its culture returns to Havana to merge with the local cuisine. ‘From Mexico, we receive the chefs Jose Manuel Baños and Pedro Evia who, through their techniques and culinary customs, will offer diners a truly authentic experience,’ Artieda added. She described as ‘essential’ the gastronomic days that will star the masters of Mexican cuisine from September 12 to 15 at the Sierra Maestra and MED, Tryp Habana Libre and Melia Cohiba restaurants, respectively. Artieda mentioned as ‘a night to not miss’ the gala dinner on September 14 in the panoramic restaurant Sierra Maestra of the Tryp Habana Libre hotel by Chef Baños. Originally from Oaxaca and formed in establishments in Mexico and Spain, Baños is the creator of the Pitiona restaurant, which defends the preservation of traditions through modern culinary techniques. According to the expert in communication and public relations, Fiestas Patrias (National Holidays) will encourage the tasting of drinks from the Mexican bar mixed with typically Cuban flavors. In relation to music, it was reported that the most popular Cuban band of the last 50 years, Los Van Van, will entertain on September 15 at the Habana Cafe of the Melia Cohiba Hotel. As part of the Fiestas Patrias in Cuba, the Mexican singer Rosalia Leon will also travel to Havana, who on September 13 will offer a concert at the National Museum of Fine Arts with the Cuban Haydee Milanes, the singer-songwriter Kelvis Ochoa and the guitarists Raul Verdecia (Cuban) and his compatriot Cesar Huesca.